Please join us on April 16, 2019 from 2:30 – 4:30 pm to learn about the major and tour our teaching labs. WHY MAJOR IN MEDICAL LABORATORY SCIENCE? Access to quality healthcare for all is one of the most significant grand challenges of the 21st century. Did you know that approximately 70% of the information a physician needs to properly diagnose and treat patients comes from the laboratory test results performed by Medical Laboratory Scientists? Medical Laboratory Science encompasses the essence of biology, chemistry and medicine. Students in the Medical Laboratory Science major gain a comprehensive knowledge base in hematology, clinical chemistry, immunology, immunohematology and microbiology as well as the skill set to perform laboratory tests required by physicians and other healthcare providers to care for their patients. 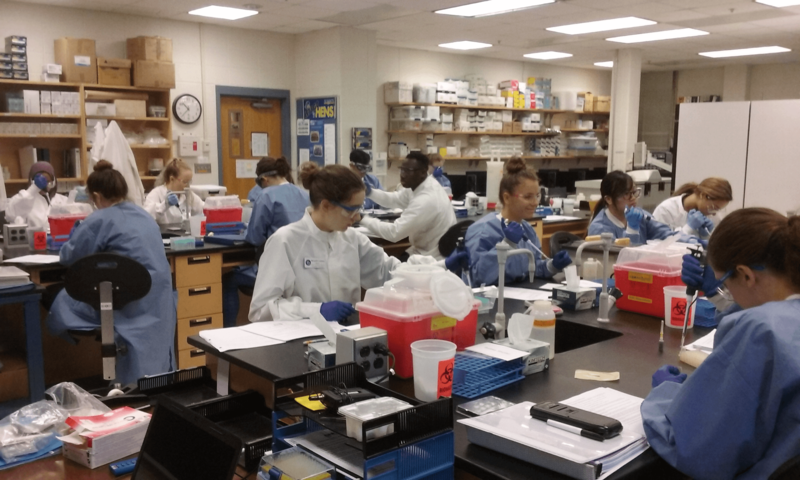 Students apply their knowledge and skills in the “real world” at approximately 30 area hospital and clinical laboratory affiliates during their senior year. 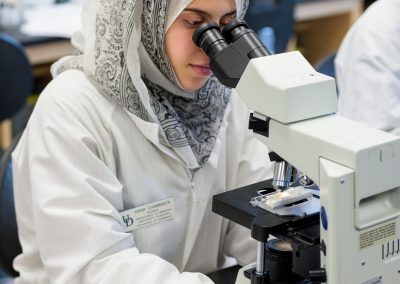 Accredited by the National Accrediting Agency for Clinical Laboratory Sciences, the Medical Laboratory Science program is enhanced by excellent faculty, including noted researchers in their respective fields of cancer, diabetes, immunology, infectious diseases and nanomedicine. 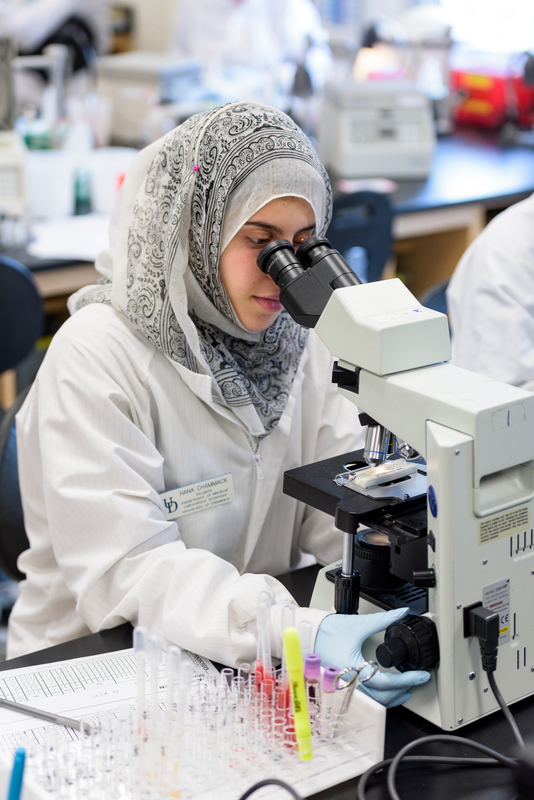 Undergraduate student laboratories equipped with state-of-the-art clinical instrumentation are directed by accomplished, certified medical laboratory science professionals. Graduates seeking employment are eagerly sought by employers in hospital and private laboratories, as well as industrial medical and biomedical laboratories, research and fertility centers, pharmaceutical companies and physician office laboratories. Many graduates pursue graduate and professional education programs in medicine, health administration, and other areas. Our department is associated with a number of facilities that provide clinical education for medical laboratory science majors. Completion of at least 60 credit hours, including the prerequisite science courses. 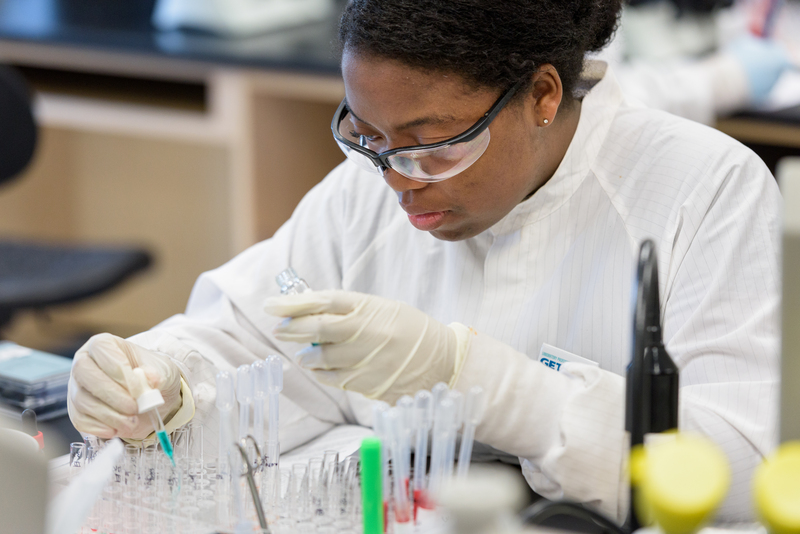 Approximately 36 students are admitted each year, resulting in a low student-to-instructor ratio in the medical laboratory science student laboratory courses. The first two years provide pre-professional courses in the basic sciences and liberal arts. The third and fourth years are an integration of professional and clinical courses. Students receive clinical experience in the fall of junior year and during the last 20 weeks of their senior year at three or more of our clinical laboratory affiliates. 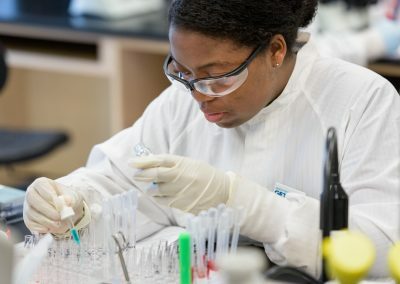 Most students who complete the medical laboratory science major are interested in professional opportunities for medical laboratory scientists, including employment in hospital and private clinical laboratories, public health agencies, industrial medical and biomedical laboratories, research and forensic laboratories, educational institutions, pharmaceutical companies, fertility centers, physicians’ office laboratories, and veterinary laboratories. 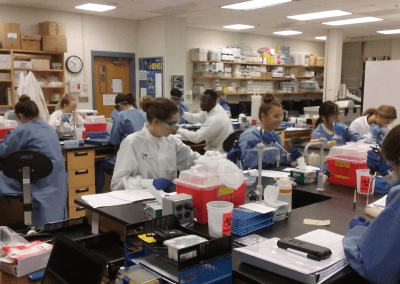 However, some students may adopt the premedical option of the medical laboratory science curriculum fulfilling requirements for application to quality medical schools. It is assumed that students opting for the combined curriculum demonstrate above-average academic aptitude and recognize the rigors necessary to successfully complete the curriculum. Students adopting the premedical option will follow the Bachelor of Science in Medical Laboratory Science with the following changes. Calculus I (MATH 221) is taken to satisfy the math requirement for the major, and an additional semester of Calculus II (MATH 222) is required for medical school entrance. Two semesters of Organic Chemistry (CHEM 321 and CHEM 322) must be taken instead of Elementary Organic Chemistry (CHEM 213/215) and Elementary Biochemistry (CHEM 214/216); in addition, a semester of Elementary Biochemistry lecture (CHEM 214) is recommended. Two semesters of Introductory Physics (PHYS 201 and 202) are also required. For those medical schools that require a second English course, Approaches to Literature (ENGL 280) is recommended following completion of 45 credit hours (fullfills a Creative Arts and Humanities breadth requirement and a second writing course required for graduation). Students interested in medical school, optometry school, physician assistant graduate programs, etc. should review the information posted at http://www.bio.udel.edu/medical-and-dental-careers and athttp://www.bio.udel.edu/health-science-advisement-and-evaluation-committee-hsaec. These web sites provide updated course requirements for medical schools and information on the University of Delaware Health Science Advisement and Evaluation Committee. 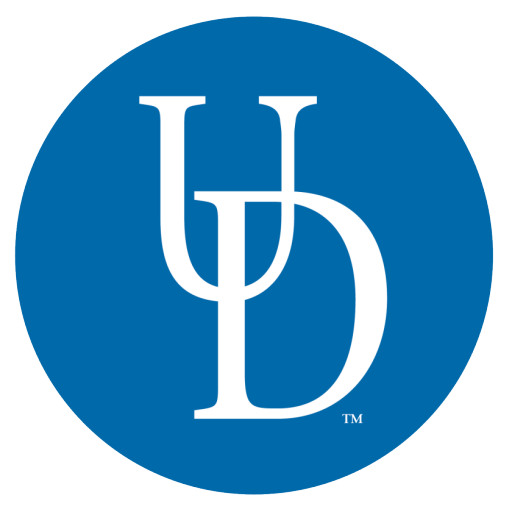 To earn a Bachelor of Science degree, students must complete 124 credits and meet specific requirements, as outlined in the University of Delaware Catalog. The following plan is only one example; not every student will take every course in the same order.